*Subject to clinical evaluation. In some cases slight tooth preparation may be required. 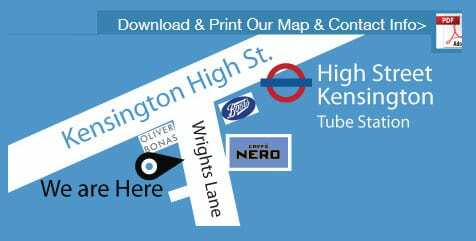 Kensington dental Practice are an established and trusted dental practice in Kensington High Street (London W8) and offer Cosmetic Dentistry, Dental Implants and general dental treatments. We also offer Facial Rejuvenation treatments. Free Consultation for Cosmetic and Implant Dentistry and Teeth Straightening. We Offer LUMINEERS ® – porcelain tooth veneers that offer the painless way to a permanently whiter and perfectly aligned smile. 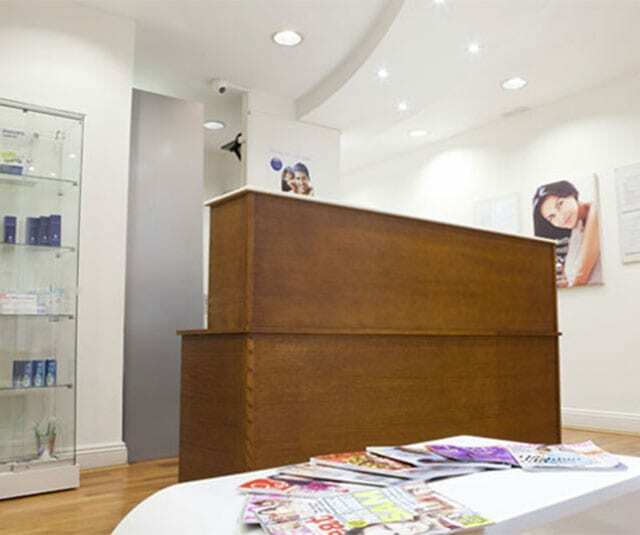 A trusted & established dental practice in Kensington. 0% and Low Cost Finance available. Spread your payments. 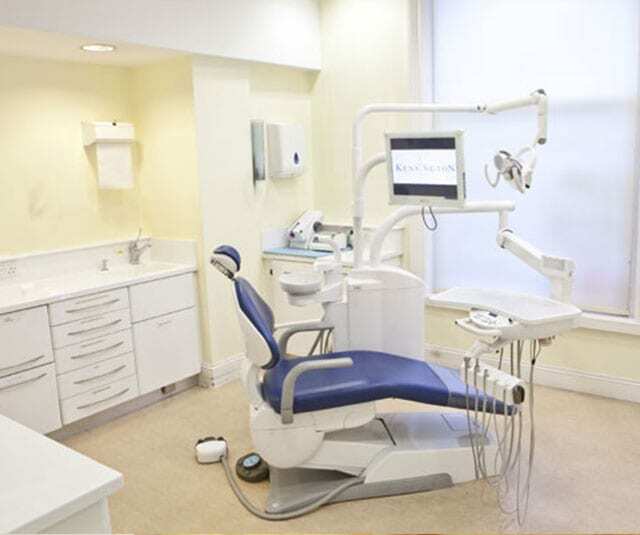 Genuinely warm, caring service from highly-competent staff and experienced dental team. Advanced dentistry treatments using state-of-the-art equipment. 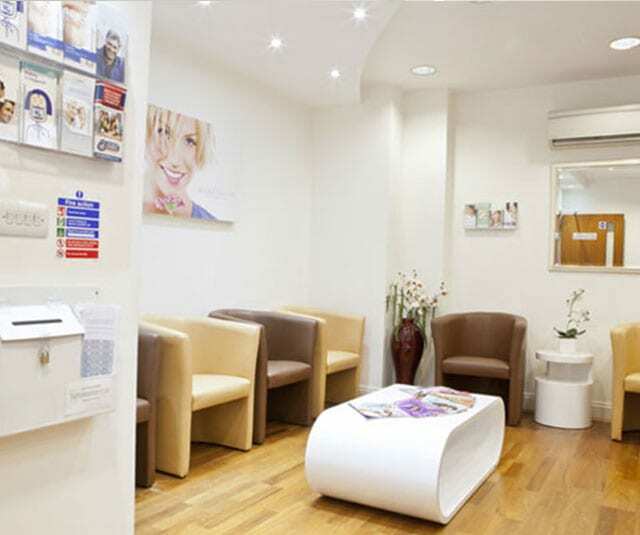 Modern, relaxing, friendly dental practice environment. What makes LUMINEERS® Teeth Veneers different from other Veneers? LUMINEERS ® are porcelain tooth veneers that offer the painless way to a permanently whiter and perfectly aligned smile. *No shaving: Your dentist applies these contact lens-thin “smile shapers” to teeth with no grinding or shaving of your original teeth, transforming your teeth in a very short time. *Subject to clinical evaluation. In some cases slight tooth preparation may be required. LUMINEERS can even be placed over existing crown or bridgework without having to replace them. LUMINEERS is the painless, permanent cosmetic solution for stained, chipped, discoloured or misaligned teeth. At Kensington dental practice, our cosmetic dentistry services are focused on improving the appearance of your smile. The treatments are varied (see below) and will depend on the specific areas of your teeth or your smile that you would like improved upon, and which you will discuss with one of our cosmetic dentists. Your Kensington dentist will do a thorough examination of the condition of your teeth, to be able to provide you with the most appropriate cosmetic dentistry solution. Cosmetic Dentistry may include Teeth Straightening, Teeth Whitening, Dental Implants, Restorative treatments such as fillings, inlays or Crowns or a combination of these treatments. A Smile Makeover includes a ‘minimum of 10 Veneers’ and may include one or a few of these treatments: Teeth Whitening, Teeth Straightening, Hygiene & Crowns. Mia qualified from Kings College, London and has worked at Kensington Dental Practice since 1997. She has a special interest in cosmetic dentistry especially smile makeovers, including porcelain veneers, white fillings and tooth whitening. Dr Mia Zhand is a Dental Phobia Certified dentist Click Here to verify. Dr Mia Zhand combines American innovation with a sophisticated European sense of aesthetic She has trained in aesthetic injectable products under experts since 2000. She is skilled in producing subtle, natural looking results which defy the aging process. You look refreshed, rejuvenated and younger with no downtime. She has been a practicing cosmetic dentist and uses the latest procedures to treat the face as a whole. This long standing experience with injectables has afforded her with a refined eye for beauty, symmetry and structure. She works only with the best FDA-approved and European injectable products which have proven clinical track records. All procedures are non-invasive and extremely safe and cost effective compared to surgery. You can return to work and normal activities immediately. Dr Faro Zhand graduated from Royal London Hospital. He has worked in general dental practice since 2001 but has continued his professional development with post graduate study at London’s Eastman Dental Institute. 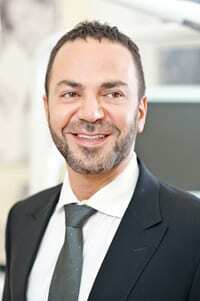 Here Faro has specialised in restorative and implant dentistry. He is a member of British Academy of Cosmetic Dentistry and has a special interest in Orthodontics and complex smile makeovers including porcelain crowns, veneers, and tooth whitening. With a reputation as a bit of a perfectionist, Faro treats all his patients with real dedication and adequate time from simple facial rejuvenation such as Dermal Fillers to correcting an existing Smile Makeovers.